J-Flex – your complete source for specialist silicone sheet products. Note: all of the above sheetings are properly manufactured from approved ingredients; cured and additionally post cured to meet FDA compliance requirements. In addition J-Flex Silicone Products are fully compliant to the REACH Substances of Very High Concern (SVHC), RoHS and EC 1935/2004. The experience of our strategic partnership means you have access to a manufacturing team that knows the calendering process intuitively and has raised it to a fine art. 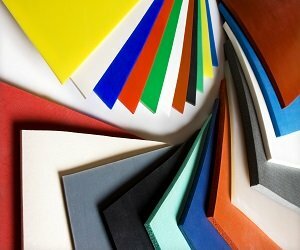 Did you know, J-Flex has the largest Silicone Sheet stock available in Europe – so you don’t have to!! Micra-Sil® is a Registered Trademark of J-Flex Rubber Products.